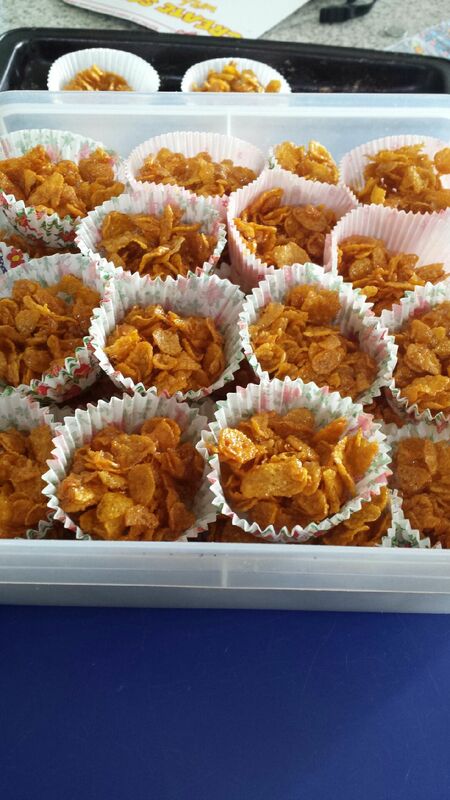 1.Lightly crush cornflakes so you have some big and some small flakes. 3. It doesn’t have to be super sticky it just needs enough honey mixture to coat the cornflakes. 4. Divide mixture between approx 30 patty pans. 5. Bake in oven for approximately 10-12 minutes at 150 degrees. Just until they’re a lightly golden colour. Note: We used Cinnamon Honey but why not try your own favorite blend.